Federal and state officials have moved to block the fantasy sports merger between DraftKings Inc. and FanDuel. The Federal Trade Commission, joined by the attorneys general of California and the District of Columbia, intends to file suit seeking a court injunction to stop the deal. The two companies announced the deal in November 2016. The FTC voted 2-0 to authorize its staff to seek a temporary restraining order and preliminary injunction in federal court. The preliminary injunction will prevent the companies from closing the deal while the FTC conducts an internal review to determine if the merger is legal under antitrust law. Daily fantasy sports have developed over the past decade into a multibillion-dollar industry. 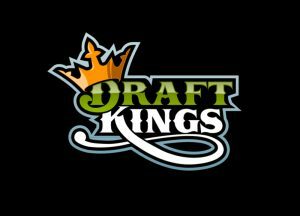 Boston-based DraftKings is the largest daily fantasy sports company based on entry fees and revenues. FanDuel of Scotland is not far behind at No. 2. Together, the two companies control 90 percent of the daily fantasy sports market in the U.S. The companies described the deal as a merger of equals that would reduce their legal bills. FanDuel has paid contests in 39 states while DraftKings is in 40. The two companies have faced regulatory challenges in several states. Some state officials have complained that the competitions amount to illegal sports betting and have banned them. In recent years, the FTC has won a long list of legal battles to stop deals of all sizes. The agency recently prevented office supplies retailer Staples Inc. from buying Office Depot Inc. and halted the merger between Sysco Corp. and US Foods Inc.